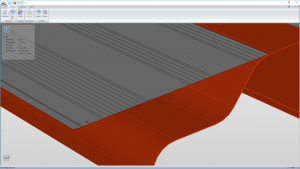 AutoPOL Unfold is software for calculation of flat-pattern from 3D models created in CAD systems. 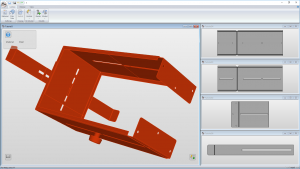 AutoPOL Unfold is stand-alone software, completely independent of other CAD platforms. It is also more production orientated than other similar software, taking into account things like material and tooling to create more accurate flat patterns. Those are major factors in getting good production results. …means that you are able to get flat patterns from all models from simple profiles to advanced pieces with free form surfaces. …is crucial to get an accurate calcualtion of the flat pattern. AutoPOL will, in contrast to many others, take things like material and machine tooling into account. 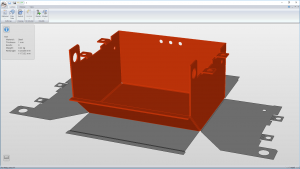 …means that you do not have to bother what other CAD/CAM software you encounter. They can all output files that you can use. All the output from Unfold is ready for production, meaning that no additional input is needed. The pattern contains bend lines, angles, tool info etc. and is CAD/CAM software friendly and user configurable. Quick to learn and use. AutoPOL Unfold is a piece of software that is very easy to learn and use. …from all major CAD systems is included. No extra charge. In the unlikely event of not supporting its native format, several neutral file formats are available. Here you can see a list of supported file formats. …with both automatic and advanced mode. The unfolding function is able to unfold even the most complex free-form surfaces as long as they are single-curved. It can even make partial unfoldings from a single model. Setting up your own toll library is easy and makes your work fast and accurate. …is easily created and is then used to calculate the behavior of the parts you unfold. Unfold will, based on material, tooling and angle calculate inner radii and compensation factor for the bends. …is easily created with all the production info you need. The DXF output can be configured to suite different software for cutting/punching and is CAM friendly, meaning that it contain no spline, double lines, gaps etc.